A woman is being treated by the ambulance service after being hit by a car in Goring this afternoon. Police said they were called to a report of a car hitting a female pedestrian at 3.44pm today (November 21) on the A259 Goring Road. 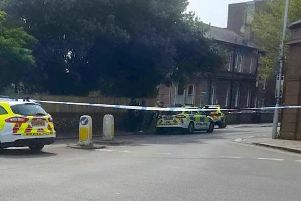 Emergency services were on the scene and the woman was reportedly treated by the ambulance service, according to police. Her condition is unclear and the ambulance service has been contacted for more information.